A Cambridge Builder has won his weight in screws! A Cambridge builder has won his weight in screws after winning a selfie competition. 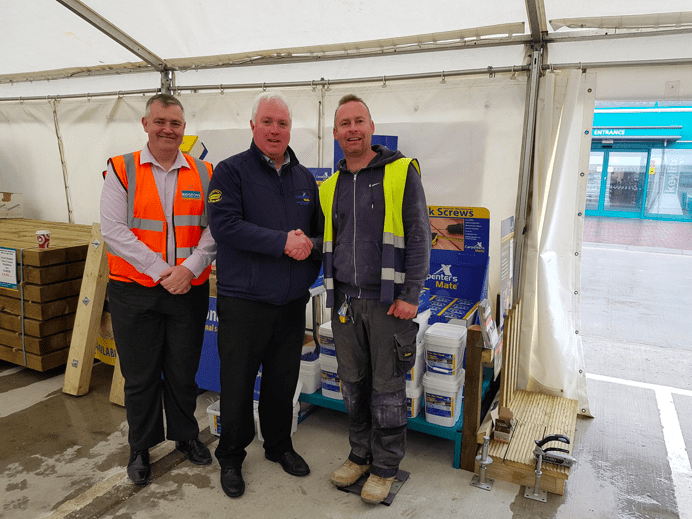 The contest, which was organised by Kent-based OSC Sales, involved people sending in a photo of themselves on social media using one of their Carpenters Mate products in action. Carpenters Mate is the UK’s original self-drilling screws wood screws supplier. Their hex screws have changed the way the industry fixes timbers by replacing the usage of traditional M10 coach bolt, making timber fixing safer and much more efficient. 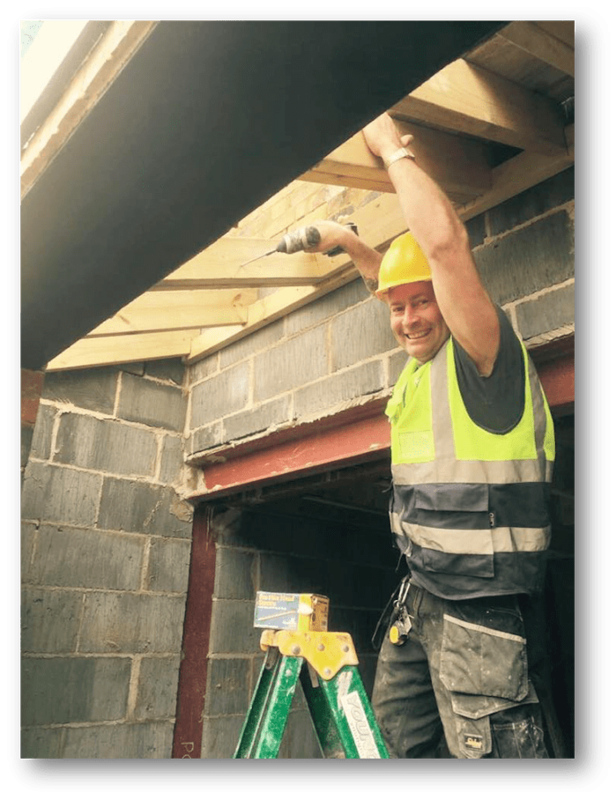 They can be used for any structure that requires a strong timber-to-timber connection including decking sub bases, loft structures, landscaping and more. Lee Garner entered the competition in March and was chosen as the lucky winner last month. He was weighed earlier this week (Wednesday) at Ridgeons in Saffron Walden before being handed 88kg of Carpenters Mate Hex Head screws by bosses at OSC Sales. The 43-year-old, managing director of Garner Builders Ltd, said: “I’m so happy I won this prize. “I’m a high-end residential builder and specialise in constructing quality extensions. “I’ve been using these products for a long time now, they save me an enormous amount of time. “I also know that they will stand the test of time. Glen Dunn, who owns OSC Sales, presented Lee with the prize. He said: “We’re so pleased to be giving these screws to Lee. “The Carpenters Mate Hex Head screws are a great coach-bolt replacement. “They require no pre-drilling, they’re guaranteed corrosion resistant and specially designed for multiple wood to wood applications. 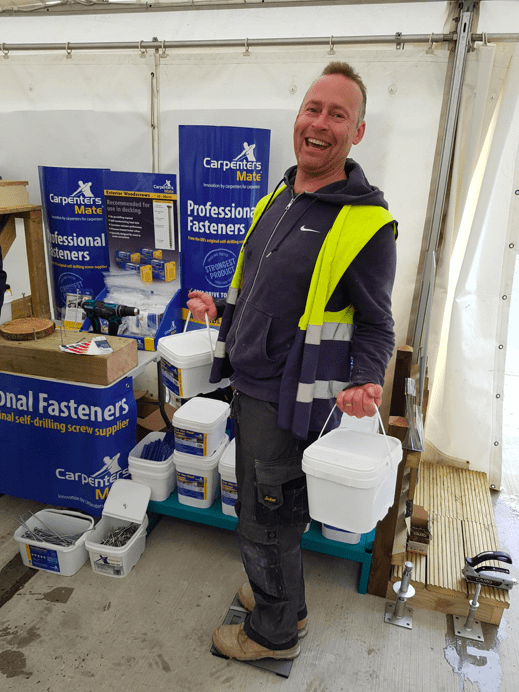 If you're interested in the Carpenters Mate screws our competition winner has won, please explore our structural screws, roof screws and deck screws. You can purchase via our online shop or find a local distributor near you!